Moving from health to the process of devolution of political powers in England, the author team behind citizen participation and changing governance: cases of devolution in England, ask if the widely criticised lack of consultation during that process was justified, and what impact deeper public engagement might have produced. 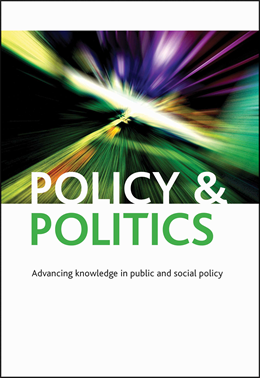 Finally, Beyond radicalism and resignation: the competing logics for public participation in policy decisions questions our current understanding of public participation in policy decisions, suggesting that the existing typologies we use cannot fully encompass the multiple ways in which participation can be constructed. In an attempt to broaden our understanding, the paper connects the variety in participatory practices to the broader ideologies that inform its design. All of these articles appear on our list of most cited articles so far in 2018, so download them now while they’re free to access. Download them all for free before 20 September.